If It's Hip, It's Here (Archives): Talk About Your Premium Spirits. 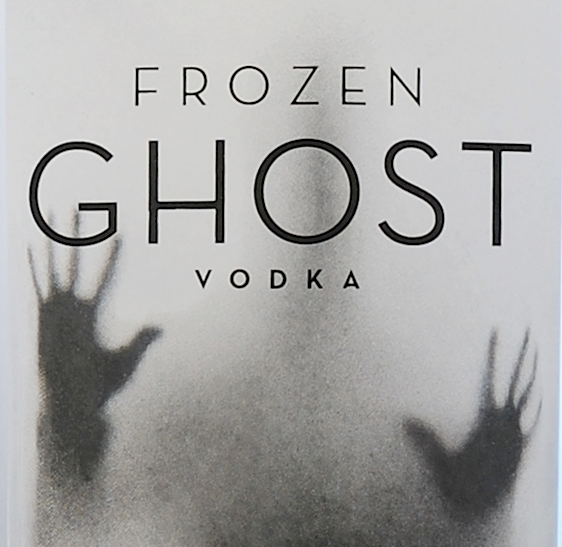 Introducing Frozen Ghost Vodka. Talk About Your Premium Spirits. 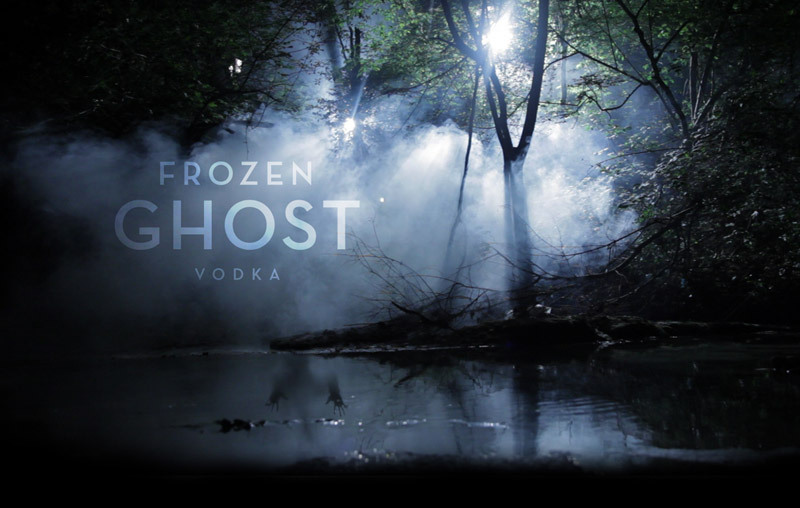 Introducing Frozen Ghost Vodka. It seems that Crystal Head Vodka is no longer the spookiest premium vodka on the shelves. 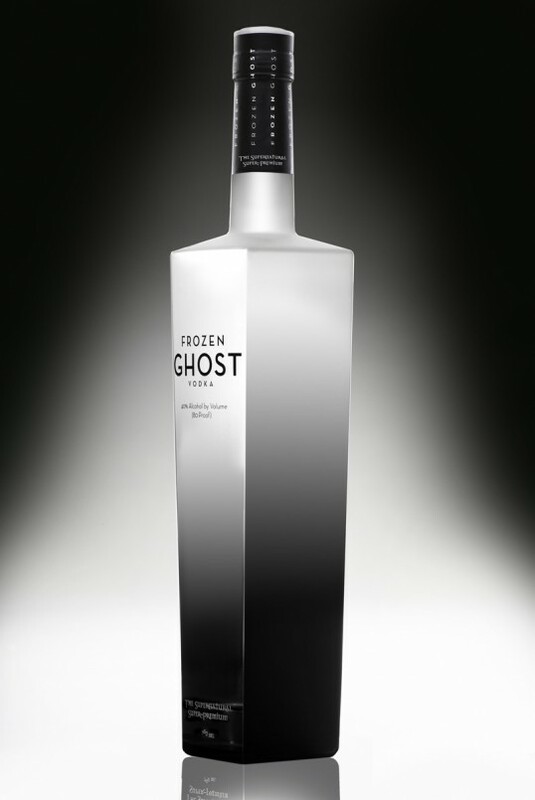 Launched last October by the Frozen Ghost Distilling Company, Frozen Ghost Vodka is a premium vodka inspired by a ghost story of a character named Tobias. His image is on the unique bottle and the story below tells you of his life and afterlife. This is a story of people whose names are lost to time, set in a location which is a sworn secret, for reasons that will become clear at the end of this tale. Generations ago, a family in Western Canada had a proud but small farm. They raised crops and livestock so plentifully, they outproduced all the other farms in the colony. Soon, people began to realize that the spring that watered their land was the sweetest and purest in the area and was thought to be the source of their success. A jealous neighbor schemed to divert their water to his own property. Stealing onto their land one bitterly cold winter night, he was confronted by the farm’s owner, known only as Tobias. The neighbor struck him with his shovel, knocking him unconscious into a pond near the mouth of the spring. The water thief completed his work, diverting some of the spring’s output to his property by means of the underground channel he dug. Tobias’s body was later discovered in the ice that froze the pond deep on that frigid winter night. No one knew how he died. The secret was safe until the neighbor began to report a strange presence of Tobias that haunted his every step. A presence that ultimately drove him mad. He confessed everything as he was driven in a prison cart to the colony’s sanitarium. The farm has changed hands many times over the centuries, and now that same spring’s water is used to produce Frozen Ghost Vodka. That pure water gives Frozen Ghost its unparalleled smooth, crisp character, even before it is distilled six times for the ultimate purity. We won’t reveal the spring’s location for your own protection. For on the rare occasions that a visitor has attempted to approach the site, an undeniable chill overtakes the stranger, along with a dark foreboding that a more dangerous fate quickly approaches. It is said that Tobias is still keeping watch over his spring. So don’t let your curiosity overtake you and tempt you to search for the water’s source. Just be satisfied that you can raise a glass to the one who is watching over the pure taste of Frozen Ghost Vodka, the supernatural super-premium. Dallas agency Levenson & Hill invented the legend based on the life—and afterlife—of a character named Tobias. 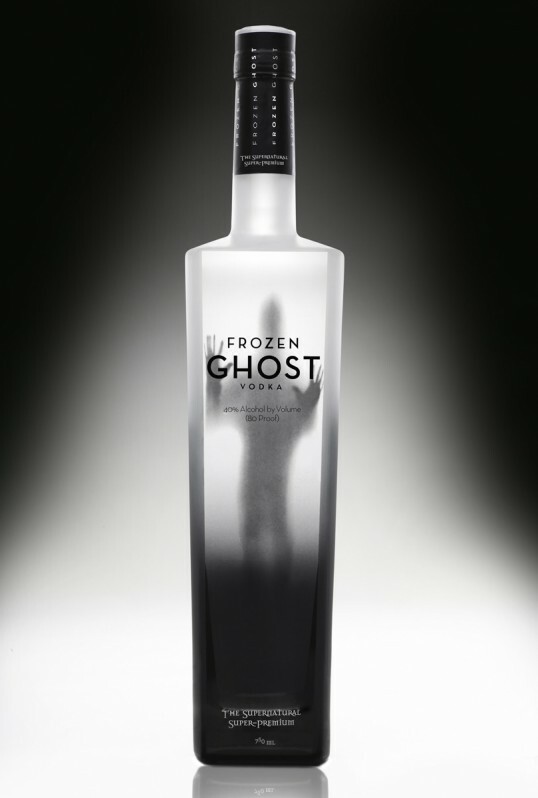 Tobias is featured uniquely on every Frozen Ghost bottle, which was designed by Levenson & Hill and cast by Dekorglass of Dzialdowo, Poland. The bottles are manufactured by Bruni Glass of Milan, Italy. The marketing launch for Frozen Ghost will include cinema (a still of which is shown above) and other mass advertising, web films, truck paints, promotions and a website for consumers of legal drinking age. 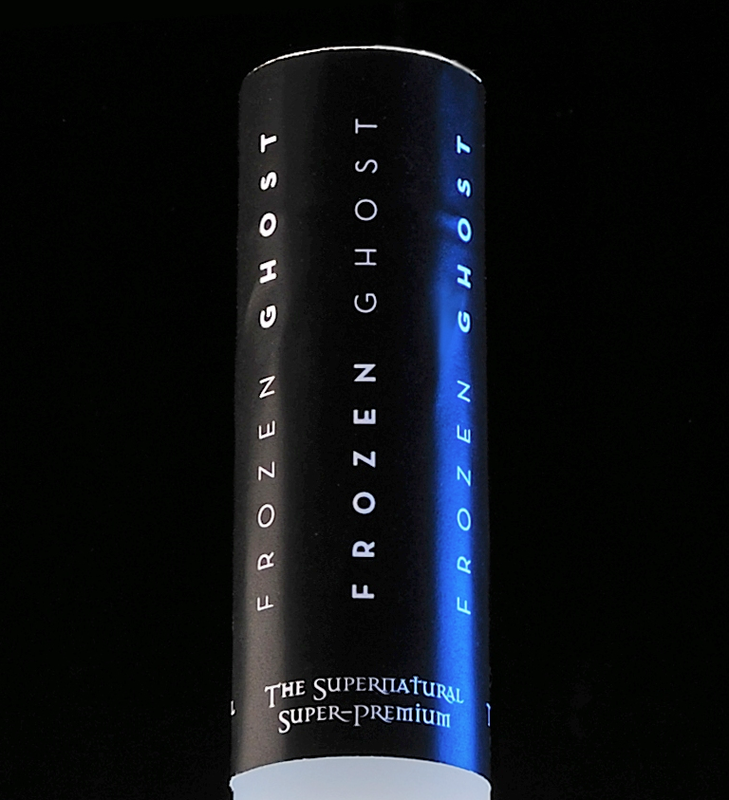 The website features a menu of drink recipes, including Frozen Ghost's signature cocktail, "Apparition Chill." 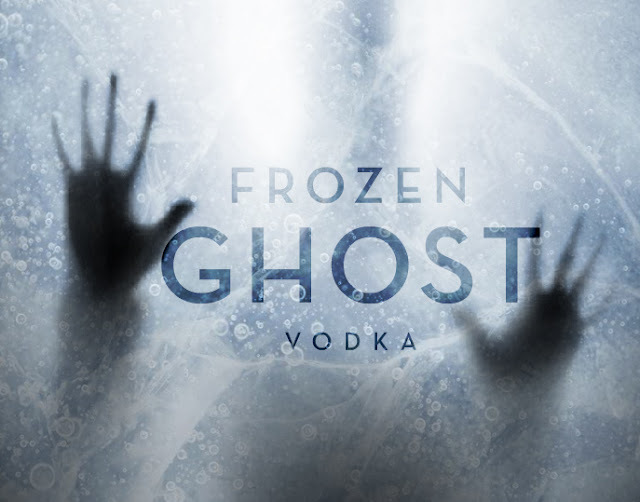 "We believe that we have developed a narrative that will leave consumers haunted by a mystery that only Frozen Ghost Vodka can solve," said Andy Harmon, Chief Brand Officer of Levenson & Hill. "To trigger the imagination of consumers, we plan to unleash the ghost of Tobias, who is key to sparking consideration of Frozen Ghost Vodka. 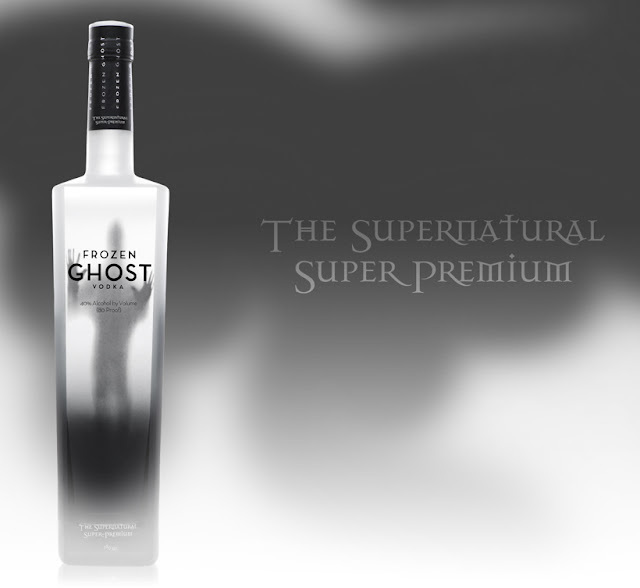 That begins with a top quality liquid and a striking on-shelf presence and is paid off with a campaign that delivers on the brand's ’supernatural-super-premium’ position." The marketing launch for Frozen Ghost includes outdoor, featuring the phrase "Enjoy it with all 6 senses." POS will grab consumer attention with the phrase, "Grab an extra bottle. This stuff disappears fast." 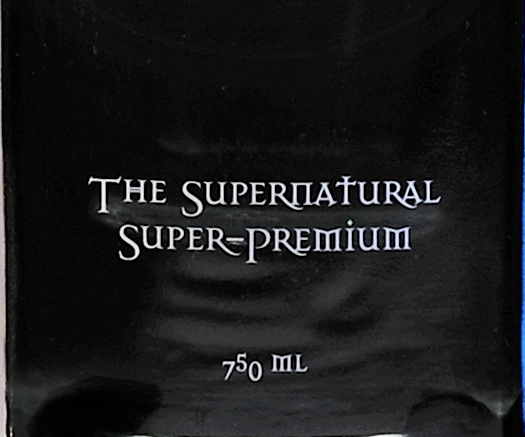 Delivery trucks will be emblazoned with an image of the eye-catching bottle and the phrase, "The supernatural super-premium." information courtesy of Frozen Ghost Distilling, special shout out to Incredible Things for bringing this to my attention. Wow - I actually have a product that is featured on If It's Hip it's Here! Unfortunately, the marketing is much better than the product itself. I'm a sucker for packaging when I buy my liquor - so much so that I'll pass on something I know is good so that I can get a cool looking bottle. Frozen Ghost has been relagated to the freezer so that it dulls the sharp and irritating tang that it has.